With summer over, many of us are experiencing a change to the summer routine which often involves the return to school and the end of vacation time. While this can have an impact on all family members, the four legged family members can suffer the consequences as well. With the return to school, many dogs are now experiencing separation anxiety occurring when their owners leave for the day. Separation anxiety, is not limited to school times, any dog can suffer from it, including my own dog, Jake. IAMS has several great tips which can make the school time transition for your dog easier. 1. Skip the production – If your pet is giving you the “sad eyes” as you begin to jingle your keys and head for the door, it will be your natural instinct to shower them with love and affection to pacify their separation anxiety. However, for your pet, this only reinforces their emotional state. Instead of putting on a big show, give your pet a simple “See you later!” The same should be done when you return home. 2. Tire them out – Before heading out for the day, ensure you take your dog on a minimum of a half hour walk, depending on the breed. This will help ensure your pets aren’t antsy while alone. 3. Stimulate the mind – In the morning, instead of feeding your pet from their regular bowl try using interactive food dispensing toys, which can be found in many major pet stores. Your cat or dog will have to try and figure out how to get the food out. This will not only keep them entertained, but will tire them out for the afternoon. 4. Kitty and Doggie Daycare/Walkers – Pet day cares and dog walkers are a great alternative to keeping your pets busy and active. Whether you are hiring a walker or leaving your pet in a care center, you must make sure that you trust the people you are leaving your pet with. Do not be afraid to ask questions, check credentials and references. 5. TV and Music – Music helps calm the body and believe it or not that goes for your pets as well. Tune the radio to a classical station and keep the volume low as dogs and cats have very sensitive ears. 6. Practice Patience – Getting over separation anxiety can be a big hurdle for you and your pet. For a while, your pet will truly believe that you are leaving forever. With proper pet parent patience, your pet will soon regain the confidence that you will return. Practice makes perfect! Walks are always great, but do not forgo the most important part of the day for your pet: playtime. Engage together in fun activities when you arrive back home. This will give your pet something fun to look forward to at the end of each day. 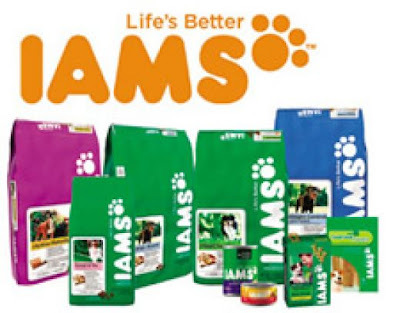 For more pet care tips, remember to visit www.iams.ca or on Facebook at www.facebook.com/iams.